If you’ve ever stopped by the loft for drinks or dinner, you already know that there are very few ingredients I won’t try to put in a cocktail. But until this week, I never made a cocktail out of… tree. 1. Rene Redzepi wrote this op-ed piece for the New York Times about how we should eat our Christmas trees (“because evergreens are delicious”). 2. Daniel Patterson tweeted about his deliberations over which type of Christmas tree would taste best. 3. Daniel Patterson wrote this piece for San Francisco magazine about foraging Douglas fir tips. 4. We hiked one of my favorite trails last weekend and encountered a fir tree with low-hanging, brand-new tips. We pilfered a few. 5. 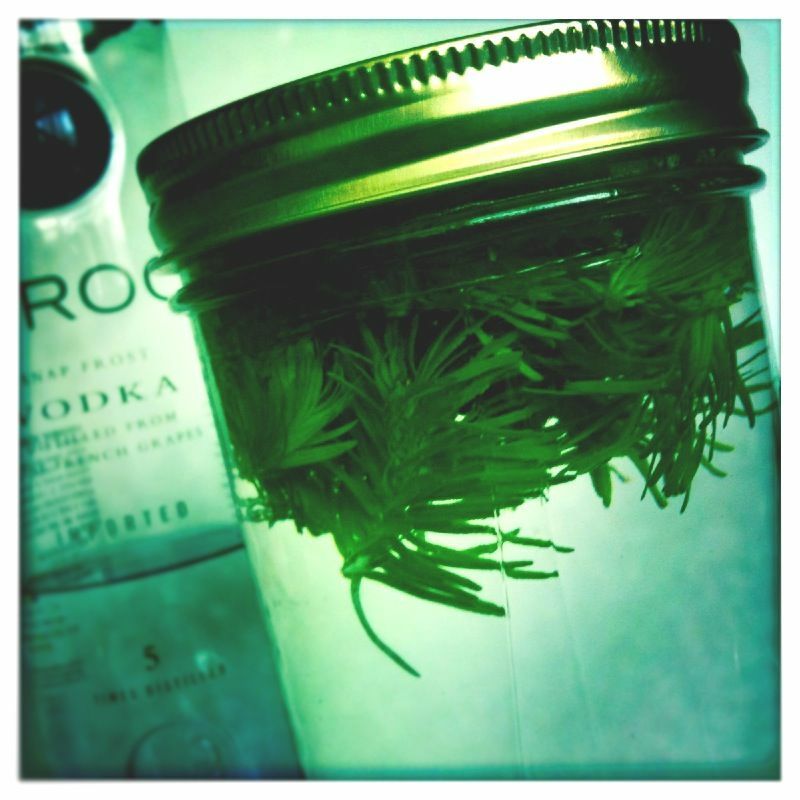 Said tips went into a jar of Ciroc vodka to infuse. 6. Today (eight days later), we deemed the mixture fully cooked and built a cocktail around it. Et voila! The result is a very clean, lightly citrusy drink with just a hint of floral flavor to enhance the herbal notes from the fir tips. Shake, strain, and serve up. Garnish by floating a fir tip in the glass.